Margaret Thatcher may have died in 2013, but the Queen's Speech shows that Thatcherism lives on - and is indeed in rude health in David Cameron's Britain. Twenty-seven countries will line up for the final of the 60th Eurovision Song Contest in Vienna on Saturday. 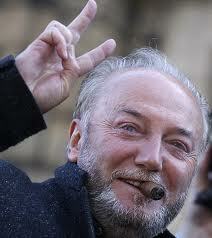 It will be broadcast live on BBC1 from 8pm, with Graham Norton providing the caustic commentary. You can read the whole of my IP Guide to tonight's Eurovision Song Contest here. On Saturday night in the Wiener Stadthalle in Vienna the grand final of the 60th Eurovision Song Contest takes place. Twenty-seven countries, not all of European, will compete for the prize, won last year by the Austrian ‘bearded lady’ Conchita Wurst. Eurovision is more than just a song contest- its history tells us much about the way Europe has changed politically, culturally and economically since the mid-1950s, and how the changes have not always been for the best. My travel feature from the Mail on Sunday, in which I follow in the footsteps of the Mail's Boer War correspondent Edgar Wallace, (the subject of my new biography), in southern Africa. 'I have always loved Cape Town and the Peninsula. There is no spot on Earth quite like it’. 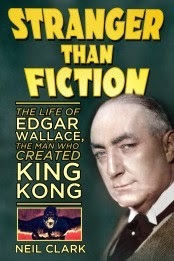 So wrote Edgar Wallace, the Daily Mail’s Boer War correspondent who went on to become Britain’s most popular author and to write the screenplay for the classic Hollywood monster movie King Kong. As my wife and I gaze down at Cape Town and its glittering bay from the 1,086m summit of Table Mountain on a beautiful sunny afternoon at the beginning of the South African summer we can see why Wallace was so impressed. We’ve travelled 6,000 miles to retrace the footsteps of a remarkable man whose adventurous, rags-to-riches life story really was stranger than fiction - hence the title of my new biography. John McCain advising Ukraine? It's totally insane! You really couldn’t make it up, could you? Serial warmonger and unsuccessful US Presidential candidate Senator John McCain has been offered a post as an advisor to Ukraine’s ‘Chocolate King’ President Petro Poroshenko. You can read the whole Op Ed here. My take on the 2015 UK General Election, for RT.com OpEdge. Football presenter and ex-England international Gary Lineker once joked: “Football is a simple game; 22 men chase a ball for 90 minutes, and, at the end, the Germans always win.” We could say something very similar about general elections in the UK. They’re a simple game: Lots of parties stand, we have a "democratic" choice, and, at the end, the party favoured by the British Establishment always wins. Unfortunately, it's not true to say that 'every vote counts equally' because under Britain's first-past-the-post electoral system, some votes matter much more than others. Many constituencies are 'safe' seats — ie its easy to predict which party will win them. We all know for instance, that Labour will hold onto Liverpool Walton and that the Conservatives will retain Henley. The election won't be decided by these results, but what happens in the so-called 'marginals'. It's voters in these constituencies who will effectively decide the result of the election. What are the seats we should be paying particular attention to as the results start to come in on election night? Here are ten of the most important election battlegrounds — not simply the ten most marginal seats — but seats where the results will have a particularly big impact and where the parties are going all out to win.